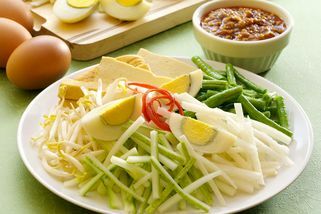 Lot G24, G25 & G26, Giant Hypermarket Kelana Jaya, 33, Jalan SS6/12, Kelana Jaya, 47301 Petaling Jaya, Selangor. Part of the The Chicken Rice Shop chain. 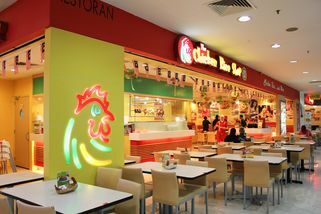 The Chicken Rice Shop is a chain of Halal restaurants that has outlets all over Malaysia today. 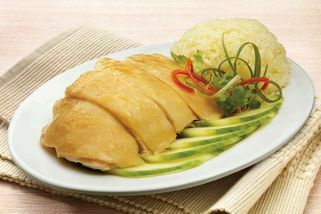 It’s a quick service restaurant that popularized traditional Hainanese chicken rice years ago. 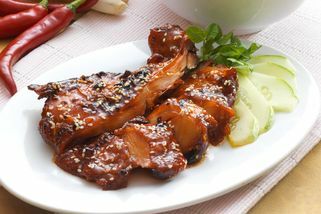 Today, they serve steamed, roasted, honey barbequed or braised chicken as part of their signature dishes. 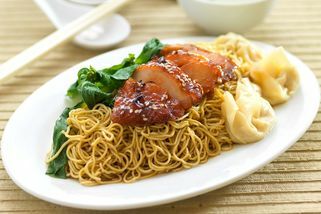 In addition to chicken rice, they also serve an array of vegetable dishes, noodles, fish balls, beef stew and much more. 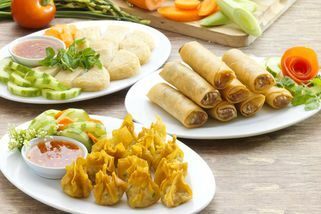 There are even a variety of set meals to choose from! The Chicken Rice Shop outlets are all very standardized—it’ll be hard to miss them, with their iconic red and yellow signage as well as walls indoors. There are comfortable regular dining tables as well as booth seats in the restaurants. The Giant Kelana Jaya outlet is located right by the entrance, right beside Secret Recipe. It’s a good place to have a meal before or after going shopping. 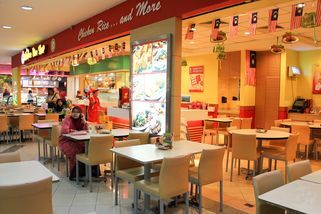 The Chicken Rice Shop @ Giant Kelana Jaya has no review yet. Submit a review!